odd that your gasket ripped. ive used mine for the whole winter without issues. I am guessing your gaskets got saturated with water somehow or it wasnt covered? This one for the Big Joe is the right width (1-1/8"), and will give you more than enough for both gaskets, and extra for the chimney. The pre-cut piece for the chimney is too short, but you get extra from the main seals which are too long (Big Joe is 24" ID, K24 is 24" OD). Gaskets can get moisture even when covered and then freeze shut. 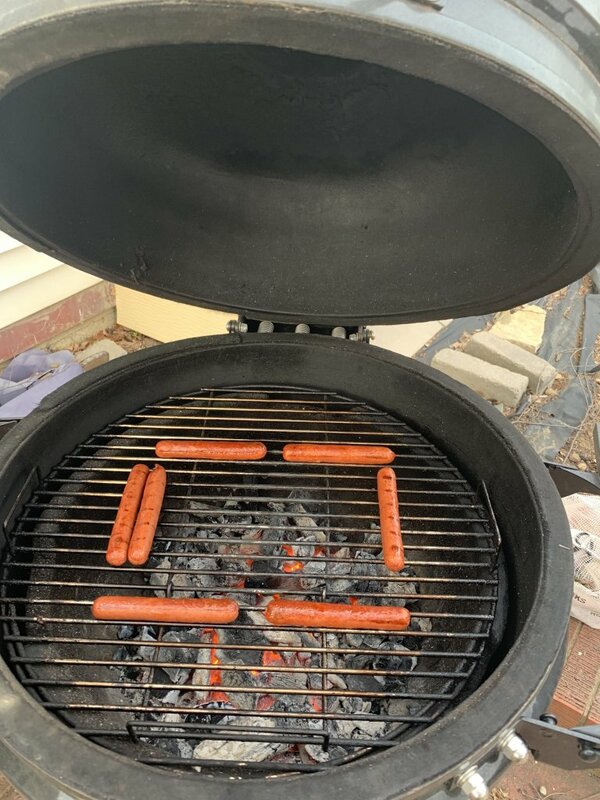 In the winter I make sure not to store anything in the grill so I can pop off the top vent and pour 1/2 a chimney of lit coals in there 45-60 minutes ahead of time to thaw it out. I replaced my original gasket with the high temp “gold” stuff from Amazon and it is holding up great.